Simplicity is the beauty of the Capital One® Spark® Cash Select for Business credit card. The offer and benefits are easy to understand and easy to take full advantage of. For the business owner that doesn't do much traveling, then Capital One® Spark® Cash Select for Business is a valuable addition to your business wallet. The Capital One® Spark® Cash Select for Business card doesn't have the most lucrative introductory offer but it certainly can save you hundreds or even thousands of dollars. There is a 0 percent APR on all purchases for the first nine months after activation (then, 15.24% - 23.24% (Variable)). In addition, as soon as you make $3,000 in purchases in the first three months, you earn a $200 bonus. More savings come in the form of a $0 annual fee. The cash-back rate of 1.5 percent is not as high as some other cards, but it applies to all purchases made with your Capital One® Spark® Cash Select for Business card and that can easily add up to thousands of dollars per year that you can re-invest into your business. Plus, remember there's no annual fee to worry about offsetting. If your business has several employees with the authority to make purchases on the company credit card, you can request additional cards at no charge. This allows multiple people to be able to make purchases on the account while racking up the rewards for your business. Additional benefits include free fraud protection and alerts, quarterly and year-end summaries and no foreign transaction fees. In addition, Capital One® Spark® Cash Select for Business features Visa Business Benefits, including auto rental collision damage waiver, travel and emergency assistance services and purchase security and extended protection. You can go nine months saving on interest with a 0% intro APR on purchases (then, 15.24% - 23.24% (Variable)). If you plan to spend $1,000 or more monthly, Capital One® Spark® Cash for Business may be a better choice to earn greater rewards. As a business owner, you can always find a use for some extra cash and the Capital One® Spark® Cash Select for Business credit card provides you with several ways to bolster your bank account. The $0 annual fee is a savings of at least $95 a year over many, if not most, small business rewards cards. The $200 introductory bonus is easily attainable ($3,000 in purchases over the first three months). And then there is the enticing 1.5 percent cash back on every purchase with no limit on how much you can earn. Even if your business makes just $5,000 in purchases per month using the Capital One® Spark® Cash Select for Business card, that would mean $900 in cash back each year. And the best part, you can redeem cash-back rewards at any time in any amount. No minimum. And the rewards won't expire for the life of the account. We also love the 0 percent introductory rate on purchases made over the first nine months after your account is activated. This could easily save your business hundreds or even thousands of dollars in interest, especially if you're a new business with some initial overhead costs or if you're looking to make a big purchase to take your business to the next level and need some interest-free time to pay it off. We are also fans of the simplicity of the Capital One® Spark® Cash Select for Business. You don't have to worry about rotating categories – or any categories at all, in fact – to maximize your cash-back rewards. It's a straight 1.5 percent across the board on all purchases. If you travel a great deal on business, you can still earn quite a bit of cash-back rewards, but you might do better with a card that offers reward miles or some special redemption options when it comes to travel. With some, the travel rewards you earn can carry a higher cash value than the 1.5 percent offered by Capital One® Spark® Cash Select for Business. Also, if you have the time and inclination to manage your account closely, a card that offers higher cash-back rewards in particular categories your business frequently shops in could prove worth your time and attention.. Finally, your creditworthiness and your ability to make on-time payments is critical to making the most of the Capital One® Spark® Cash Select for Business card. To begin with, you need excellent credit to qualify for this card. And paying on time is critical as missed or late payments will quickly rack up interest charges that will eat into any of your rewards. At first blush, it might seem that these are the same cards. But there are some rather significant differences that the consumer needs to be aware of. Capital One® Spark® Cash Select for Business comes with a $0 annual fee. Capital One® Spark® Cash for Business, however, features a $0 annual fee for the first year and then charges a $95 annual fee after that. Capital One® Spark® Cash Select for Business offers a $200 cash bonus after $3,000 in purchases over the first three months, while the Capital One® Spark® Cash for Business card offers a bigger bonus where you can earn a one-time $500 cash bonus when you spend $4,500 in the first three months your account is open. Here's the biggie: Capital One® Spark® Cash Select for Business rewards you with an unlimited 1.5 percent cash back on all purchases; whereas Capital One® Spark® Cash for Business offers an unlimited 2 percent cash back on all purchases. In other words, if your business spends enough to offset that annual fee (and it really wouldn't take much to do that given the 2 percent back you earn on all your purchases) you'd likely be better off with the Capital One® Spark® Cash for Business credit card. Capital One® Spark® Cash Select for Business offers an introductory 0 percent interest rate on all purchases for the first nine months before jumping to a 15.24% - 23.24% (Variable) APR based on creditworthiness. 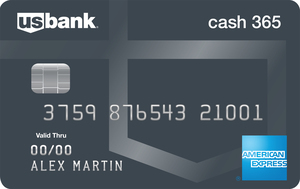 The Ink Business Cash℠ Credit Card makes its 0 percent introductory rate for 12 months on purchases (then, 15.49% - 21.49% Variable). Capital One® Spark® Cash Select for Business gives 1.5 percent cash back across the board on all purchases. There is no limit on the amount of cash back you can earn and the rewards won't expire for the life of the account. With the Ink Business Cash℠ Credit Card, you earn 5 percent cash back on the first $25,000 spent each account anniversary year on combined purchases at office supply stores and on cellular, internet, cable and phone services. You earn 2 percent cash back on the first $25,000 spent each year at gas stations and restaurants. And you earn 1 percent back on everything else and once you reach the annual spending caps in the other categories. Neither card charges an annual fee. Capital One® Spark® Cash Select for Business offers a $200 cash bonus after $3,000 in purchases over the first three months. The Ink Business Cash℠ Credit Card offers a $500 bonus after $3,000 in purchases over the first three months. This decision will likely come down to whether your business can capitalize on the bonus rewards categories offered by the Ink Business Cash℠ Credit Card. Capital One® Spark® Cash Select for Business offers an introductory 0 percent interest rate on all purchases for the first nine months (then, 15.24% - 23.24% (Variable)). The Blue Business℠ Plus Credit Card from American Express offers a longer 0 percent introductory rate at 12 months on both purchases and balance transfers, then jumps to 15.49% - 21.49% Variable (See Rates and Fees). The Capital One® Spark® Cash Select for Business introductory rate does not include balance transfers. Capital One® Spark® Cash Select for Business rewards you at 1.5 percent cash back across the board on all purchases. There is no limit on the amount of cash back you can earn and the rewards won't expire. The Blue Business℠ Plus Credit Card from American Express lets you earn points to redeem for a variety of rewards, including travel, event tickets and gift cards to restaurants and stores. You earn 2 points for every $1 spent on all your purchases up to $50,000 each year. After that, it's one point per $1 spent. Capital One® Spark® Cash Select for Business does not charge for foreign transactions. The Blue Business℠ Plus Credit Card from American Express charges 2.7 percent for each foreign transaction (See Rates and Fees). The owner of a growing business that doesn't do much traveling is perfectly suited for the Capital One® Spark® Cash Select for Business credit card. The card provides multiple opportunities to save money and earn money that can be invested back into your business. In addition, the introductory offer and rewards program are easy to understand and easy to make the most of. Anyone who likes to see their bank account grow without having to jump through too many hoops should also have this card in their wallet. 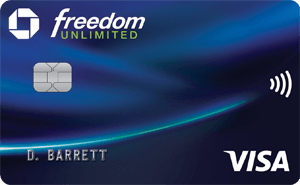 A $200 bonus after $3,000 in qualifying purchases over the first three months, $0 annual fee, 0 percent interest on all purchases for the first nine months after card activation and limitless 1.5 percent cash back on all purchases adds up to many ways to pad your business' bottom line.